Home » Mercedes software manual » Xentry DAS. Mercedes software installation. Xentry DAS (Mercedes). Software installation for Windows XP. Manual for the old version until 2016. Diagnostic software, Mercedes DAS Xentry installs in English (recommended) versionWindows XP SP3. In control panel, regional settings select everywhere English. Windows XP Service Pack 3 (English). (optional) Microsoft .NET Framework All Pack, winrar, AdbeRdr812_ru_RU, internet explorer 8.
set the virtual DVD/CD drive and assigned it drive letter G.
set the date on the computer a month later than the release (e.g. version Xentry 5/2015, put the date on the computer 6.2015). In the next phase of installation will require the Windows set of patches “NewGuide”. The kit has a version. 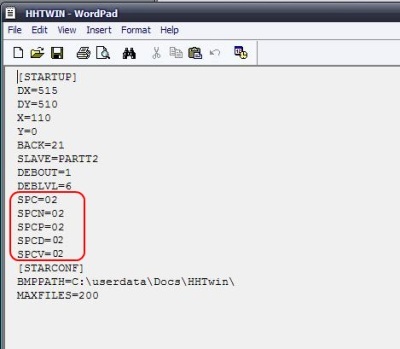 So for example to install Xentry 3.2013 to used version NewGuide2i, NewGuide2h. Starting with version 3.2013 installation is complicated. During the installation the program checks the hardware of the computer. For versions of DAS/Xentry, starting from 05.2013 until the present time, the necessary pre-installed set of patches NewGuide2j. The kit contains a few patches. First run the “WFP”. Next, “prepare.bat” from the same NewGuide and follow his instructions. reboot the computer and already work from the user Star, then only work for that user. on your desktop there is a shortcut StarUtilittes. Run it, go to the key Manager StarKey. keygen create keys “DAS” and “Xentry”, insert saved. mount the disk image installation package to a virtual drive G.
at the end of installation window appears with a message about the successful installation of the program. Before you click “Finish” to run all from the same kit NewGuide file “after installation.bat”, and only after that press “finish”. the system will reboot. At startup the system will start to install “HOTFIX”. 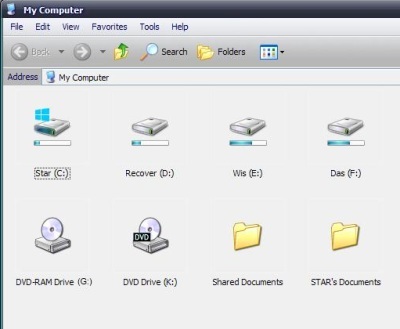 if the desktop is not a shortcut to Xentry, then run the installation file manually. (optional) after the installation run “cal872.exe” from the same NewGuide. Control panel> System> Hardware> device Manager> Port (COM and LPT). Right click on COM port and select Properties. 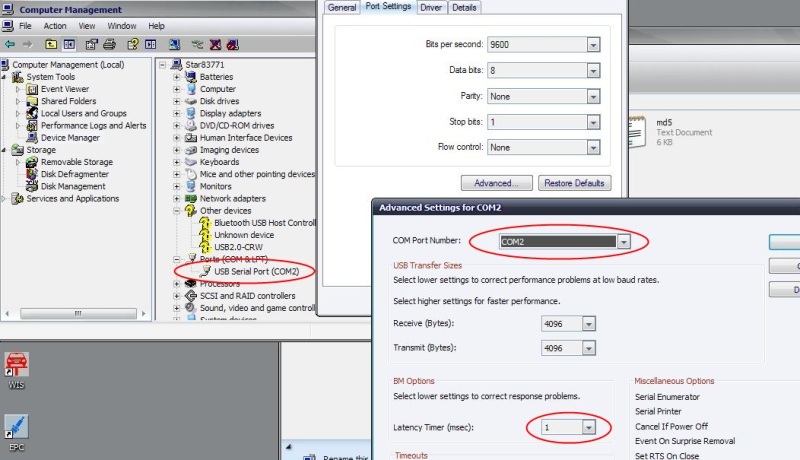 Bits per second: typically, leave the default, but when using non-standard cables or USB-com adapters are not the FTDI chip, you may have to experimentally find the data transfer rate to achieve a stable connection between multiplexer and computer. Then click on the Advanced button (advanced) and make sure that the Use FIFO buffers are checked and COM port number is set as COM2. Click OK and close device Manager. To operate the multiplexer SD Connect will be required to configure LAN and WiFi connections. To install Addons custom Internet connection and run the utility automatic updates “Online Update BG” (utility runs automatically about every 20 minutes). Download Addons in automatic mode can last for 2 – 3 hours. The downloaded Addons are installed in the system at the next reboot of the system. You can also install Addons in manual mode from the official website. To start DAS directly, bypassing Xentry : insert the corrected file DAS32R2.exe in F:\Programme\DAS\bin (a hidden folder) and display a shortcut on the desktop. in case you start DAS directly (bypassing Xentry) can lose some of the programming functions. 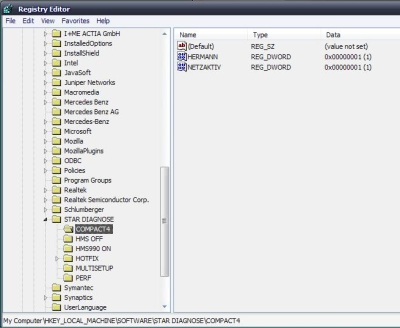 When you work with Mercedes cars before 2004 release, it may automatically run diagnostic application HHTWIN (the program is outdated, primitive appearance), and diagnostics will be partially or fully be performed in this program. HHTWIN can work in German or English language. By default the program starts in German. When you run the NNT will appear the language selection window. This feature only works on HHT for cars. The Sprinter, Vito and trucks default remains German. In them the system language selection is not working. If the system has already been saved license keys for Xentry DAS, but for some reason require re-saving in some cases you cannot save the new keys without removing the old. Deleting keys is performed by removing the files lic_key (DAS\WIS) and lic_key_2 (Xentry) located along the way: C:\Documents and Settings\All Users\Application Data\.